Xiamen yue adhesive products co., LTD.
Xiamen Probtain Non-woven Co., Ltd. Is located in the famous coastal city of Xiamen, already have twenty years focused on PP spun-bonded non-woven fabric development and technology application.Listed on the stock transfer system in early 2016, the stock code: 836267. Xiamen Probtain Non-woven Co., Ltd have four wholly owned subsidiary company's : Xiamen Probtain Heyue Hygiene Materials Co.,Ltd , Ruijin Greenfibre Commodity Co., LTD., Xiamen Probtain Import & Export trade Co., LTD., Xiamen Probtain Network technology Co., LTD.Subdivide three products division: Greenfibre, Greenneat, Greencare.Form the Internet technology, the upstream petrochemical import and export trade, on the basis of the non-woven material research and development of health, health protection, environmental protection packing products comprehensive group enterprise. Xiamen Probtain Heyue Hygiene Materials Co.,Ltd , founded in 2009, is a professional development and production of adult and baby diapers closed system (PP Frontal Tape,PP Side Tape ,Magic Frontal Tape, Magic Side Tape, S Cut Big Ear Magic Side Tape) production enterprise.With the personalized diapers products development, the company closed system products toward soft, comfortable, quiet and reduce the potential damage the trend of development, breaking the original diapers closed industry monopoly advantage brands and multinational companies both at home and abroad.In technology and product availability, functionality, appearance, which is the industry touch leading competitors, with the domestic and foreign well-known manufacturers cooperation, products are exported to all over the world. Our company has printing (Fully automatic high-speed satellite soft printing intaglio printing), coating, composite, embossing, cutting technology of advanced production and testing equipment, and standardized industrial workshop and health industry clean production workshop;Full implementation of ISO9001:2008 quality management system and refinement of production management, to better promote research and development ability in 2016 signed a long-term technical cooperation agreement with xiamen university, set up a joint research and development centers, research and development has its own core technology and intellectual property rights, to promote industrial upgrading, taking concrete steps forward. 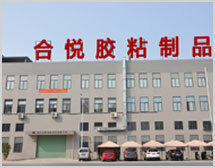 As the pioneer of the market, Xiamen Probtain Heyue Hygiene Materials relying on the parent company ased material and technical resources while in the keen market sense of smell, with complete industrial advantage, perfect quality management system, for domestic and international famous brand strategy partner, provide a wide range of products and solutions. We carry forward the "integrity, diligence, pioneering innovation, achievement customers, people-oriented focus on sharing" spirit of enterprise for customers to provide quality stability, excellent quality of products and professional technical support.